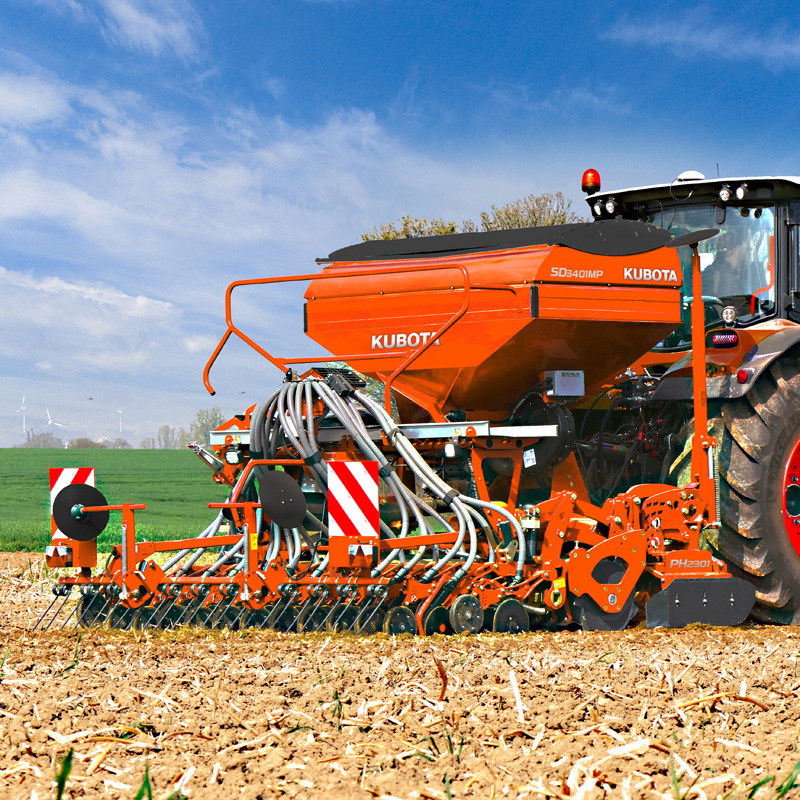 Kubota is introducing the new integrated pneumatic seed drills, the SD3001MP series. 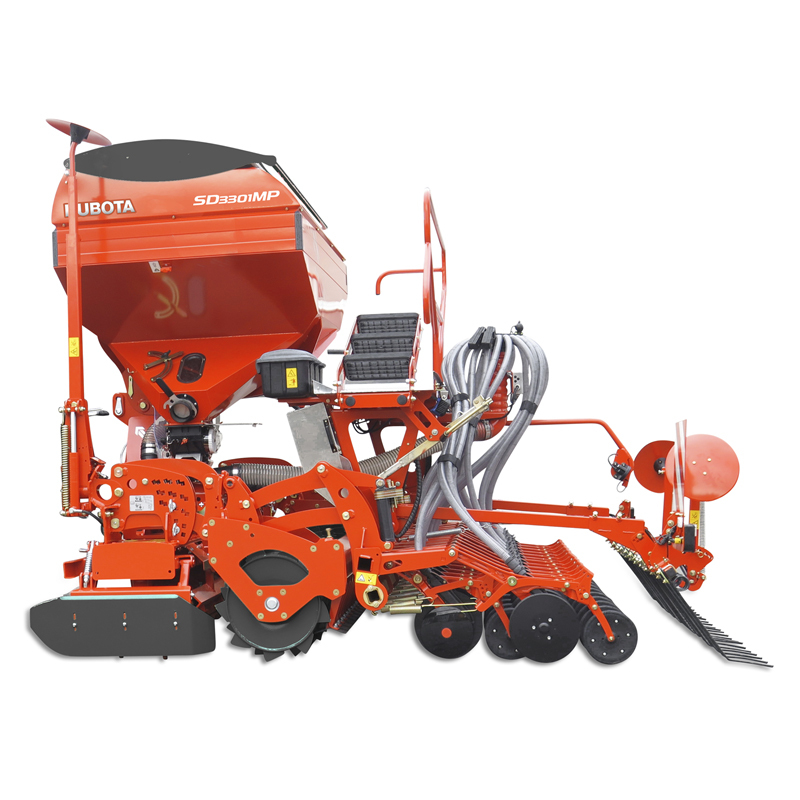 This model allows seedbed preparation, re-compaction and sowing in one pass. The SD3001MP series is offered with a hopper capacity of up to 2000 litres. A parallelogram and a quadruple joint of the SD3001MP series ensure the optimum adjustment of the power harrow and coulterbar for a precise seed application. Important: the adjustment of the power harrow has no impact on the coulterbar respectively the sowing depth.